I found this tiny feather caught in the bush on one of my hikes. Beautiful! 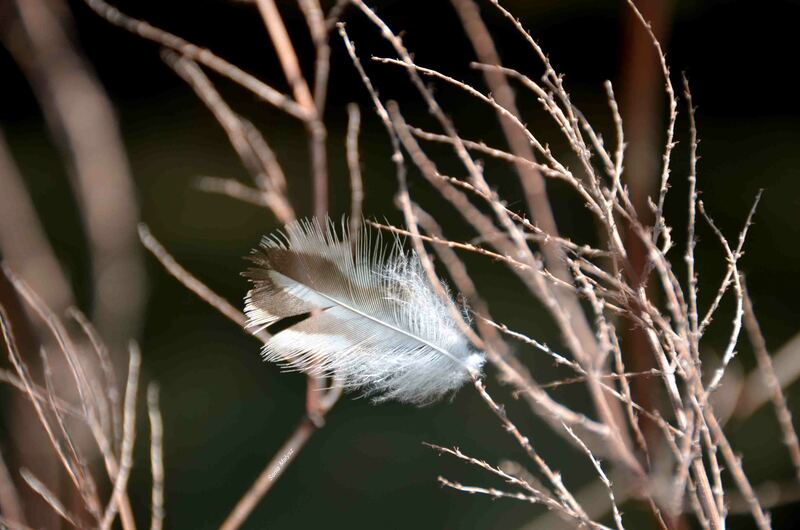 I love the way the branches are highlighted in the foreground, and the texture in the feather!